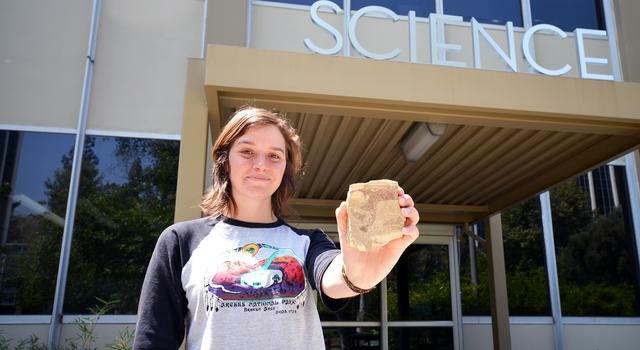 To prepare her team to analyze the first sample returned from Mars in the future, JPL intern Amanda Allen is exploring how she can get the biggest science from the smallest places. We caught up with Allen, an Earth science major at UC San Diego who also has a background in costume design, to find out what the tiniest and rarest fossils could tell us about ancient life on Earth – and beyond. I am trying to develop a method to analyze the isotopic ratios of organic carbon preserved in individual microfossils. As living creatures on Earth, one of the most important elements to us is carbon. When we eat food, we are adding carbon to our bodies, and depending on what we eat and where we live, we get different types of carbon, which are called isotopes. Some isotopes are heavier than others, but living organisms have a tendency to process the lighter ones, which we can measure as a ratio. When a creature dies, and if it becomes a fossil, any carbon that is preserved will hold a record of its isotope ratio. If we can get that fossil, we can use a mass spectrometer instrument to separate the lighter and heavier isotopes to see what that ratio is. Then we can use that to figure out what sort of lifestyle and eating habits the organism had. But usually, you don’t get a single fossil. Sometimes your sample is what was once sludge at the bottom of a lake, and that makes it difficult to study a specific fossil because there are lots of things that lived in the lake and contributed to that organic-rich sludge. My lab is investigating some of the earliest evidence of the evolution of life on Earth, and one technique is to examine very tiny fossils – and there are not that many of them. So my project is working towards being able to take an individual microfossil and analyze it with our instruments. Right now, the state-of-the-art method needs a sample with about 10 times as much carbon as these microfossils to work properly. There’s also a lot of possible contamination with that method. So I'm working on trying to get a different method to work. How does this work play into NASA missions and science? We're planning on eventually getting samples back to Earth sometime in the future after the Mars 2020 rover lands, and we want to be able to get the most information out of the tiniest amount of material so that more people can have the opportunity to experiment on it. What are the samples that you’re working with? The samples that I'm working with are these little blobs of organic, carbon-walled microfossils. We don't really know what they are. They're called acritarchs, which is basically a lump-all term for, “of uncertain origin,” but they're some of the oldest biological signatures on Earth. I’ve been working with the same lab over the past 3 years. At first, I was trying to get a handle on imaging the samples, studying them with a light microscope and our scanning electron microscope, looking for things like whether the surfaces had any rock bits left on them, estimating how much carbon they had, and then preparing them to be analyzed. This summer, the instrument I’m working with is this really cool device called a Pyroprobe. It has a little platinum wire coil, and you fit a tiny little sample tube into it and the platinum coil will heat up to around 1,500 degrees Celsius [about 2,700 degrees Fahrenheit]. We use oxygen to combust the sample so any carbon on it will turn into carbon dioxide. 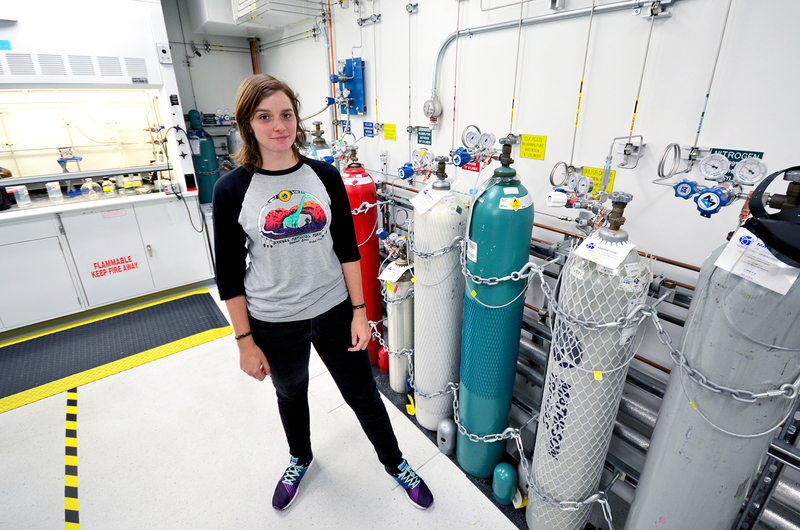 The carbon dioxide can get passed to our isotope ratio mass spectrometer. 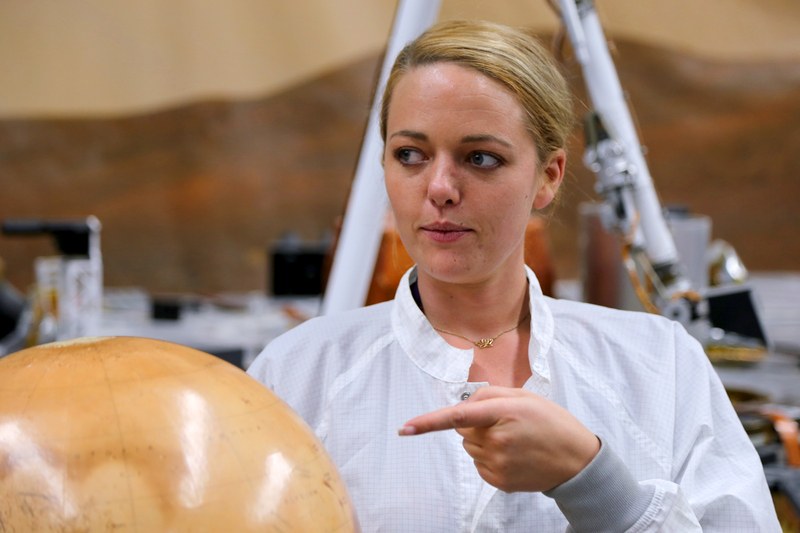 How do you feel that you're contributing to NASA missions and science? I think the people I work with have a really good vision and intention when going about investigations like this. We want to be the ones who they hand the samples to when they come back from Mars. We want to show that we're taking every necessary precaution to treat the samples with care and that we have instruments that can look at thin sections of rocks and make images of them that can be shared instantaneously. I really like being a part of that. I also feel like my superpower is being able to find things. So if there's something cool to find on Mars related to astrobiology, I think I can help with that. Finding life or signs of life on Mars is the coolest application of my superpower [laughs]. Before taking the science route, you were involved in theater and costume design. What made you choose to study science? I had a really hard time choosing between costuming and geology for a long time. But then I realized that they didn't have to be separate things, or I could use one to kind of fuel the other one, and use an understanding of the natural world to inspire my art. Being able to actualize new ways of understanding the universe and helping other people understand it is really important, and I think that's where art comes in. 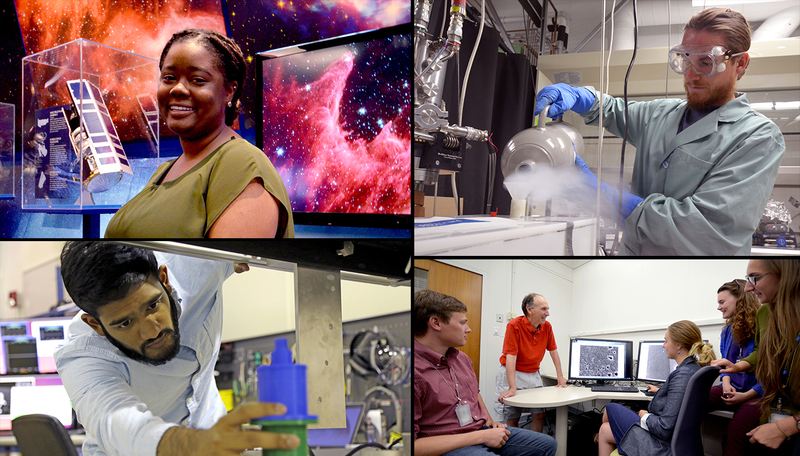 What's the most JPL or NASA unique experience you've had so far? I think it's just being able to start up a conversation in the lunch line with someone and hear about this whole other experience and the important work that they are doing. People here are excited about what they do and excited to come to work. They want to cross boundaries. It’s people’s job to be the intermediary between the engineering side of things and the science side of things, and I’m totally into that emphasis on communication and bridging traditionally divided disciplines. If you could travel anywhere in space, where would you go and what would you do there? Hiking around Pluto would be pretty cool. I never thought I would say that until I saw the images of Pluto from New Horizons. I also realized recently that I'm more interested in going to Mars than another place on Earth. I'm like, oh yeah, Prague is cool, but I'm just more interested in Mars. I grew up moving around in the U.S. and Mexico, which made it hard to keep up with school. I mainly struggled with my language arts classes, but there were areas in which I excelled: math and science. I was in high school when I decided I wanted to be a scientist; I was fascinated by the explanations of the world through chemistry and physics. Although I was living in Mexico at that time, I never gave up on the dream of attending an American university to pursue my education. In 2010, my family and I moved to California to escape the dangers of drug cartels that had invaded our town. During my freshman year, I heard about the NASA National Community College Aerospace Scholars Program, and I decided to give it a shot. I used my basic knowledge of chemistry to write a series of proposals for a mission to Mars that included a timeline, budget and rover design. 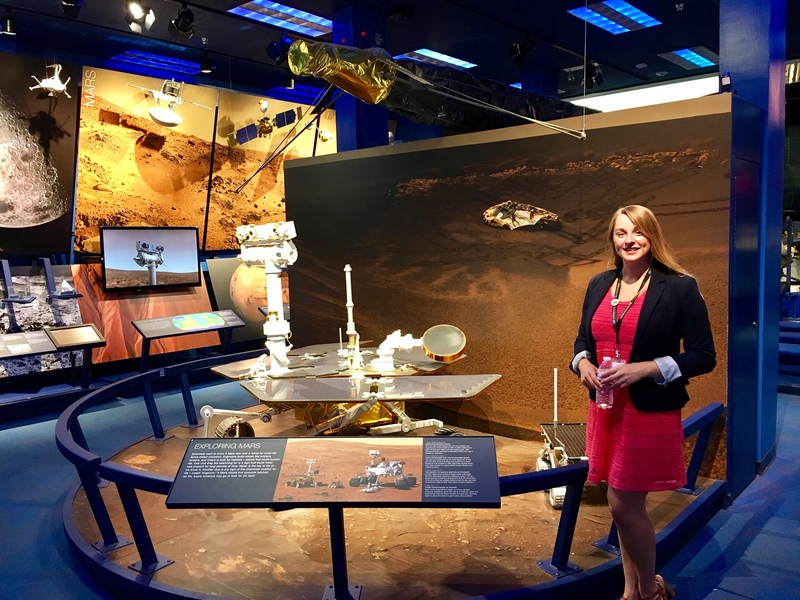 Based on my individual performance, I was selected on a competitive basis to attend the on-site team project at NASA's Jet Propulsion Laboratory. There were about 40 students from all over the U.S. We were split into four teams to put our ideas together and build a rover. We called our team "Red Planet Research" and our rover was named "Isis." (It was my birthday!) Through this I experience, I saw what it takes to be a NASA scientist and engineer. 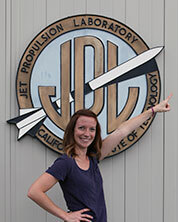 I also discovered that I wanted to become one of the JPL scientists who are involved with exploration missions. 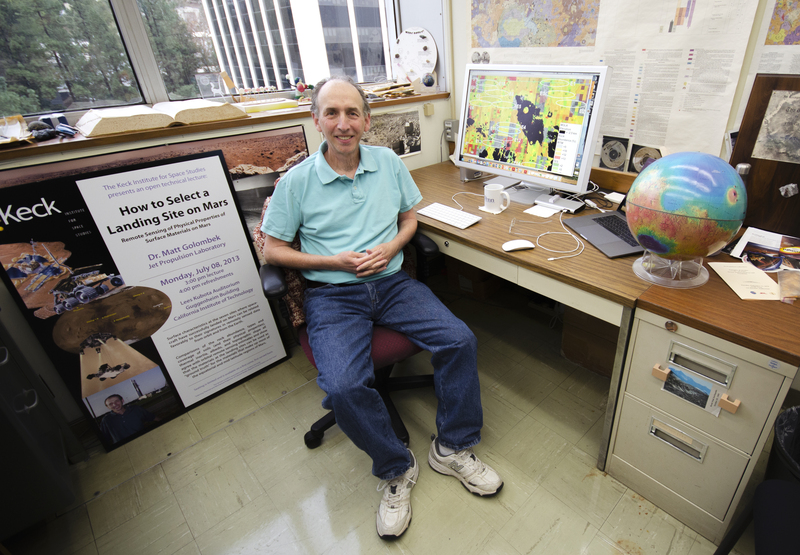 I was hooked on studying the Earth and planets. I returned to my school excited for what was to come and shared my excitement with others. I am happy to say that four students from my community college participated in NCAS this year at JPL. In August of 2013, I received an email from NASA Education saying that I had been selected to receive the Minority University Research and Education Program (MUREP) scholarship! 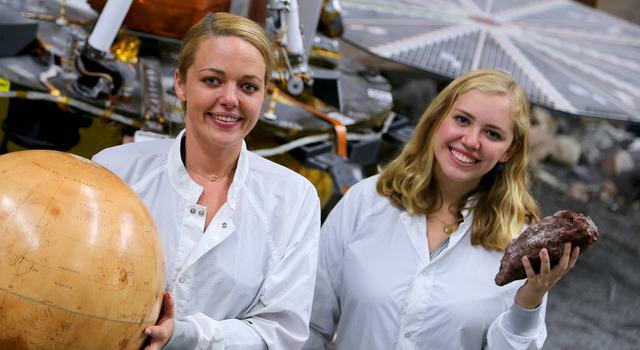 The program guarantees two summer internships at any NASA center. Right away, I knew I wanted to come back to JPL. Although I come from a small community college, I managed to be a competitive applicant due to my involvement with science, technology, engineering and mathematics programs, such as the Mathematics Engineering Science Achievement Program and the Society for Advancement of Chicanos and Native Americans in Science. 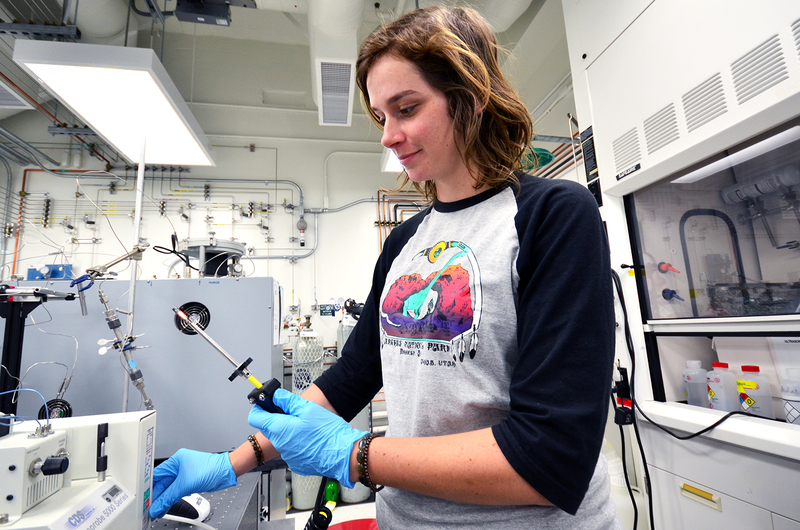 This summer, for the first of my two NASA internships as a MUREP scholar, I am working in the AstroBiogeoChemistry (ABC) Lab measuring hydrogen and oxygen isotopes in hydrated clay minerals. Our goal is to improve instrument precision and techniques for possible future return-sample missions. It's a dream come true to finally work in a planetary chemistry and astrobiology lab. I have the opportunity to meet researchers who are passionate about their work and be involved in exciting research. But I think the best part of the internship is my lab group. There are two other interns, two post-doctorate interns, a Ph.D. student, and my mentor. They all take the time to tell us about the work they're doing and, most important, mentor us as rising scientists. Throughout my experience, I have learned a lot about research, and I am inspired to continue in the STEM field. 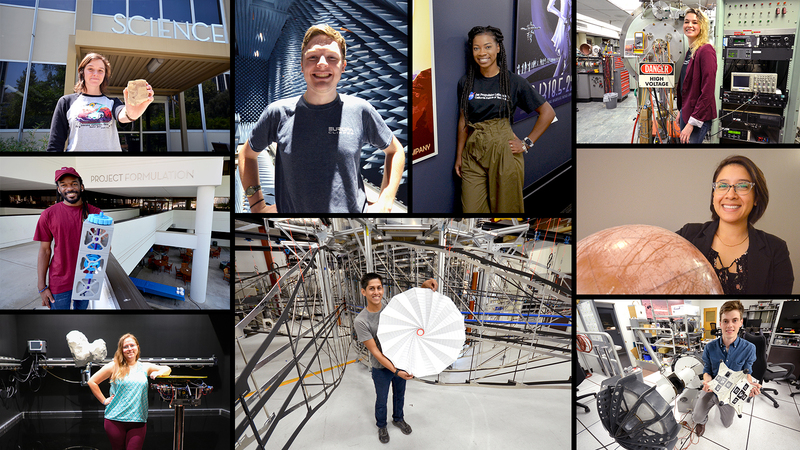 I was nervous before coming to JPL and didn't know what to expect, but being part of the ABC Lab has exceeded all my expectations. I encourage all community college students to apply for NASA opportunities. Although my internship is coming to an end, I am happy to say that I will be back next summer to do more exciting research. 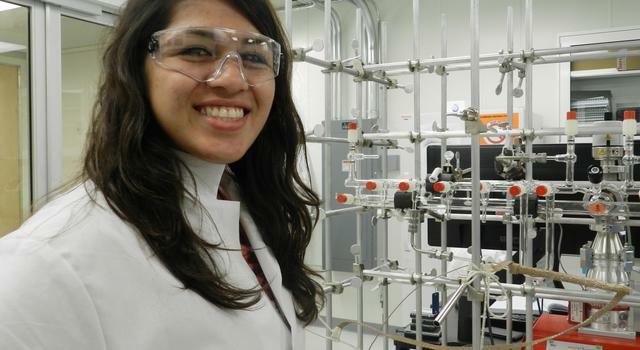 Isis Frausto-Vicencio is a chemistry and chemical engineering major, with a minor in Earth science, at the University of California, Los Angeles. 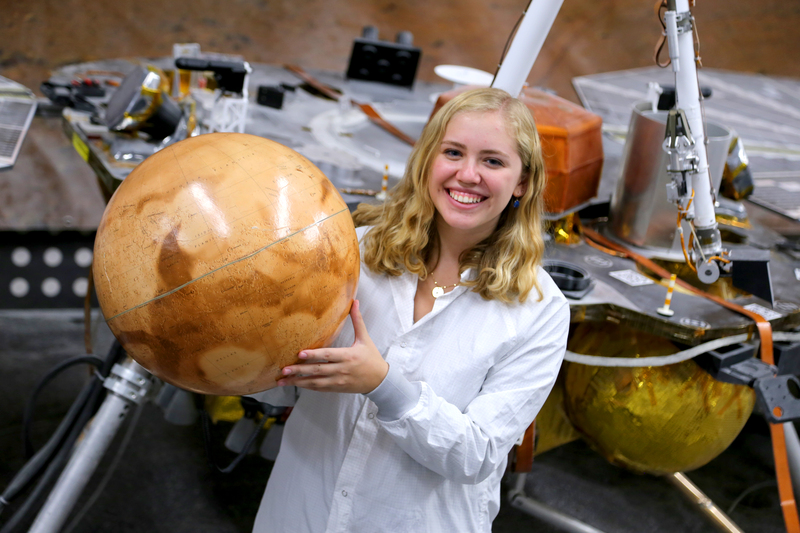 As a community college student at College of the Sequoias, she participated in the NASA Community College Aerospace Scholars program and went on to intern at NASA's Jet Propulsion Laboratory in the summers of 2014 and 2015.